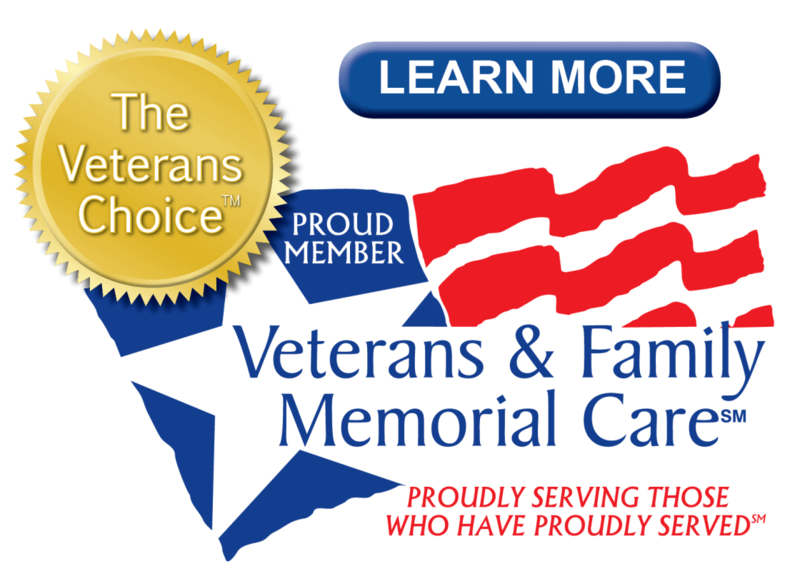 Holloway Funeral Home is proudly associated with the Veterans & Family Memorial Care funeral home provider network. We have over 30 years of experience in serving veterans and their family members in planning funeral services and arrangements. We believe in the importance of always being available during this challenging process. We will assist you in planning for funeral services, while also helping you understand and receive the many benefits of the Veterans & Family Memorial Care funeral home provider network. Preparing for a funeral service is never an easy process. It is our goal to walk you through each step during these difficult times. One of the main benefits of the Veterans & Family Memorial Care funeral home provider network is that it enables any deceased veteran of peace or wartime to be qualified to receive free burial services at a VA national cemetery. The only exception to this rule is if you have been discharged from the military under dishonorable circumstances. Free burial services aren't just limited to veterans but are also available to spouses of veterans and any dependents who pass away before them. The VA burial benefits allow you to have the option to choose between cremation or casket services. Our staff is available to answer your questions and guide you on the best decision for your situation. Veterans have the choice to decide between being buried in a private cemetery or a national cemetery. These veterans maybe eligible for a government headstone, Presidential Memorial Certificate, a burial flag, medallion, and a marker at no extra costs for the family. Veterans may also be able to receive burial allowances. It is important to contact the Westchase VA Burial Benefits associations for additional information. Veterans may be eligible for prepaid funeral plans. The Pre-Need Determination of Eligibility Program will determine if you are qualified for these services. Once confirmed, we can help you begin planning for a funeral. Prepaid funeral plans offers many benefits for the family of veterans. It can reduce the financial strain and minimize stress caused by uncertainties when trying to plan for a funeral service. Feel free to reach out to Holloway Funeral Home for more information on Westchase VA Burial Benefits. Our goal is to provide you with assistance and support for veterans and their family members during this process. We are more than happy to guide you throughout the entire process. Our team has over 30 years of experience in funeral planning services and working with the Westchase VA Burial Benefits organization. Our offices are located in Oldsmar, Florida, but we also serve the local community throughout the state. Holloway Funeral Home will simplify the process and provide you and your family with much-needed support. Please feel free to contact us at any time for additional information and let us help you understand the many benefits of Westchase VA Burial Benefits.